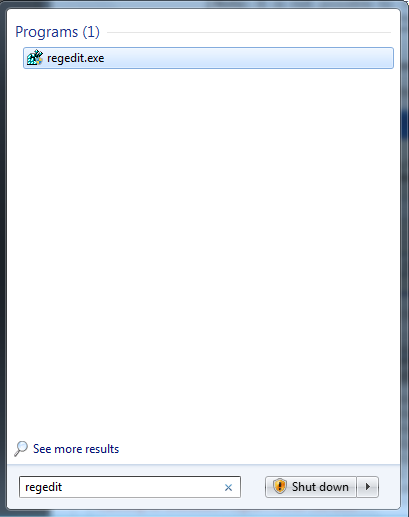 Click Start > Run, from the Windows Start menu. 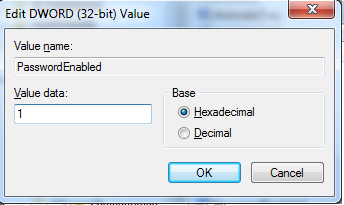 Under the Configurations folder you will see sub-folders named 0,1,2,... depending on the number of preset configurations in CIS. 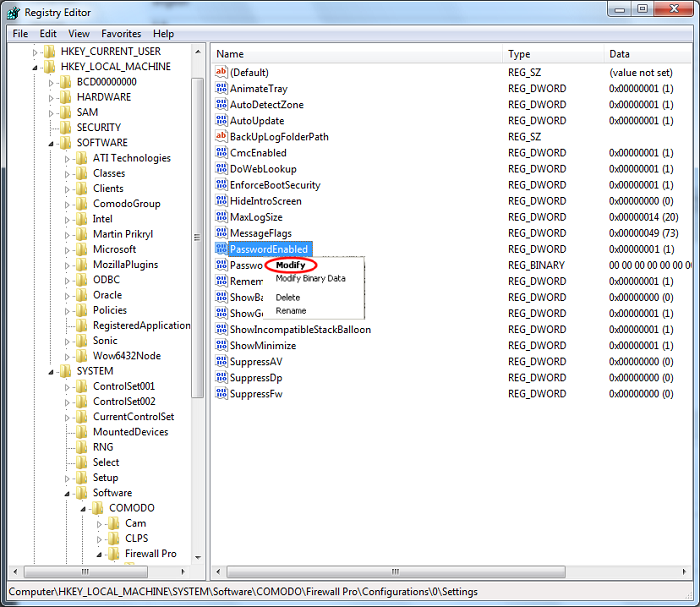 These folders contain registry keys for the settings of the preset configurations in the order of the configurations displayed in More > Manage My Configurations interface. 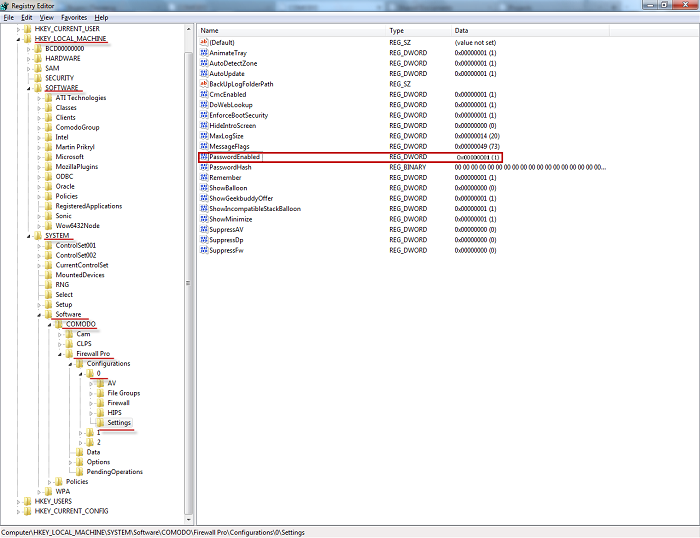 For example, the folder 0 contains the keys for COMODO – Internet Security, the folder 1 contains the keys for COMODO – Proactive Security and so on. 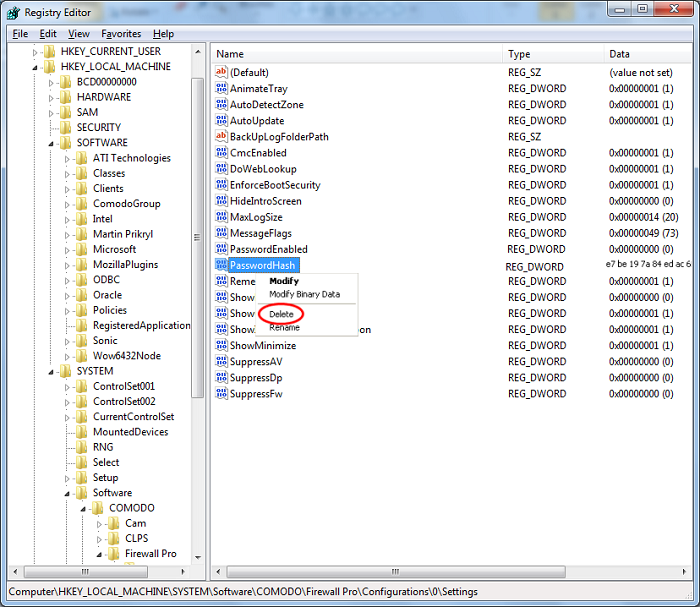 Select the folder corresponding to the configuration for which you wish to reset the password and navigate to Settings. 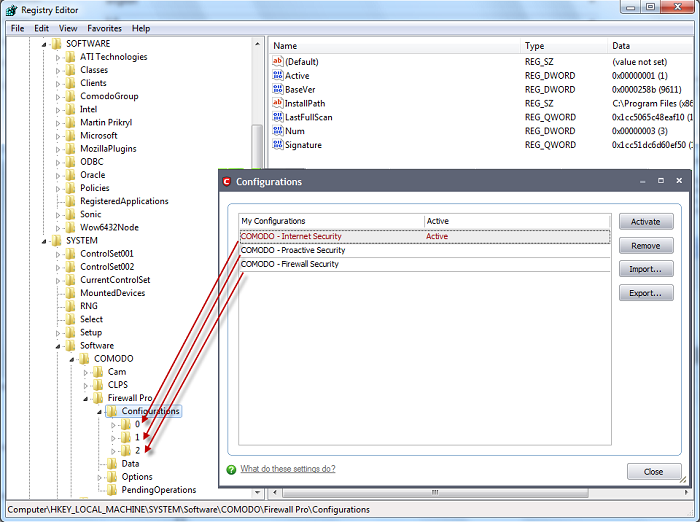 For example, navigate to HKEY_LOCAL_MACHINE\SYSTEM\Software\Comodo\FirewallPro\Configurations\0\Settings to reset password in COMODO - Internet Security configuration.